Betsson – Live Casino Cashback! Stretch your gaming with cashback! Get up to €800 in hard cash throughout April 2017! Exclusive for our readers from Finland, Germany, Iceland, Norway, The Netherlands, Peru, Sweden and Switzerland. 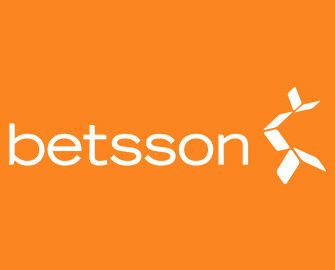 This month, even the unlucky players at the Betsson Live tables can look forward to a great reward. Up to €200 in cashback per week will give each one a second chance on any of their favorite casino games, be it on the tables or slots. Play on any live tables during the week and receive the cashback credited with no wagering requirement every Monday. Cashbacks will be paid on 10th, 17th and 24th April 2017, 2nd May 2017. Net losses are determined as bets – wins. The minimum cashback amount that will be paid is €1, maximum per week is €200, all cash, no wagering requirements that can be used on any casino game. The money will be available in players’ account on Mondays before 18:00 CET. The last cashback payout will be available on the player’s account on Tuesday, 2nd May 2017 before 18:00 CET. Launched in 2001, the casino is operated by the award winning BML Group Ltd. and holds MGA Malta and UKGC licenses. 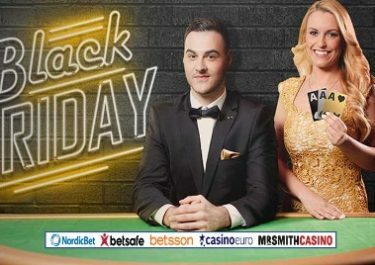 Betsson offers for play on dekstop, mobile or tablet Sportsbook, Poker, Bingo, Scratch Cards, Games, Casino and Live Casino with games from acclaimed suppliers such as Netent, Big Time Gaming, ELK Studios, Jadestone, Microgaming, NextGen, NYX Interactive, ONgame, Play’n GO, Quickspin, Realistic Games, Red Tiger, Thunderkick, Williams Interactive, Yggdrasil as well as Evolution Gaming and NetEnt Live for their Live Casino tables.